Product bundling is a perfect alternative to special offers and sales. Wise bundles of products or/and services sold as a single package at a bargain price will bring you more revenue. Bundles work especially great when their components are available for sale separately but at a higher price. Your buyers will see the profit and, as a result, they’ll order a whole package (instead of ordering one thing) paying you more than they were going to. So, you get more money per sale. This addon allows the creation of product and services bundles in your online store. Adding a bundle is the same as adding a new product. Just add it as a new product and don’t forget to set the bargain price for the package. 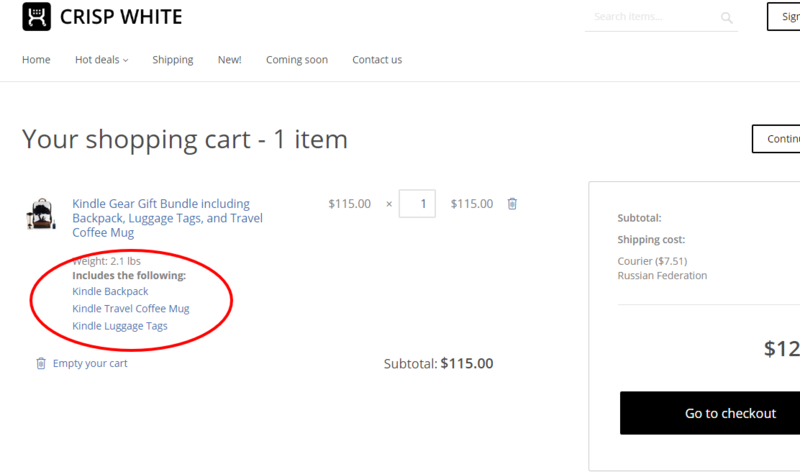 Then assign the components just picking them from your products list in a new tab “Bundle” on the product settings page. When a bundle is ordered the quantity in stock is updated for all its components. And, of course, your customers won’t be able to buy a bundle if any of the components is out of stock. If a product is already a part of a bundle, you’ll never miss this fact. 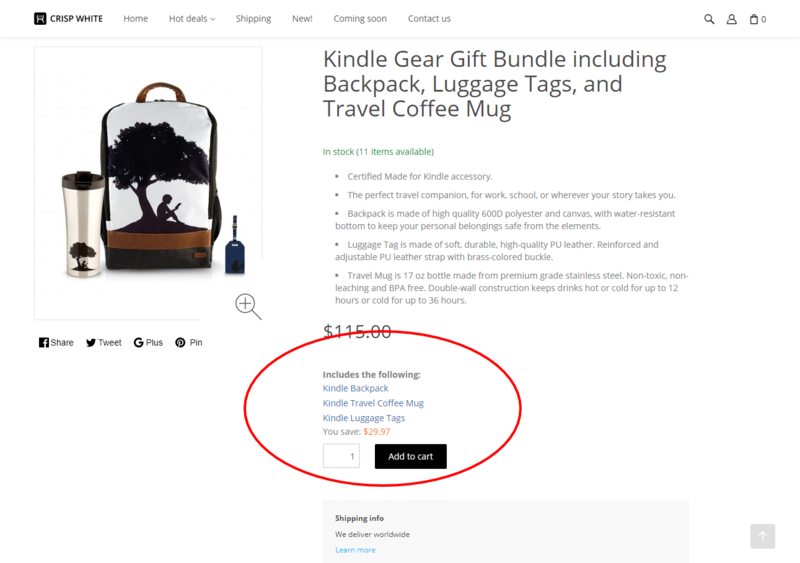 This information is available in the product settings page in tab “Bundles”. So, you can easily find out if its a part of any bundles. 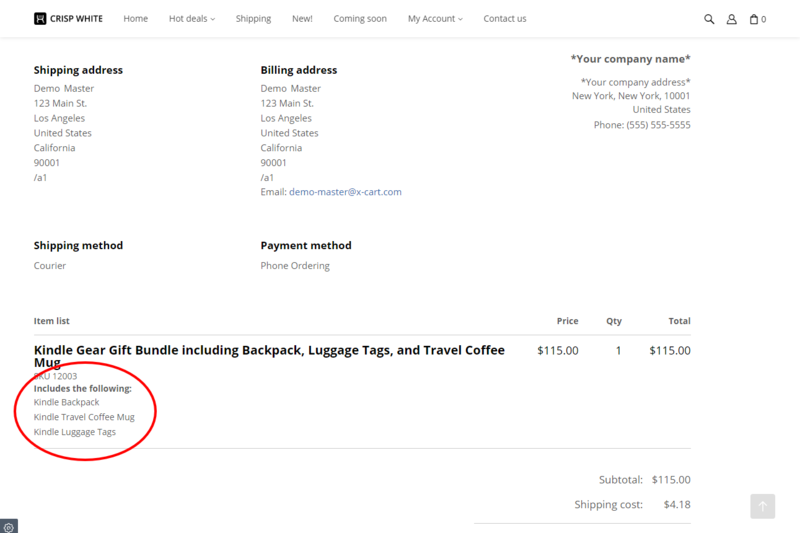 Your customers will have a clear understanding of the package set as this information show up on the bundle page in the storefront, on the cart page, and in the invoice.